Your first requirement is to design your website. Experienced coders can do this with a simple text editing tool such as NotePad. However, if you are not a coder there are alternatives and DoveSoft recommend free tools such as WordPress. For the hobbyist, other recommended non coding software includes Xara Web Designer, Mobirise, and WYSIWYG Web Builder. You may simply require to host your site on your own computer and its web pages will contain links to web addresses of your choice. This is achieved by publishing/exporting your site from the web design software to a folder on your computer. 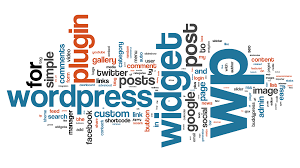 Most users however will require their site to be accessible to all on the Internet, in which case you will need a domain name, web host and optionally a database. A domain name such as dovesoft.uk, can most easily be purchased from your web host. Domain names vary in price depending on the suffix used. Typically co.uk names are for hobbyists and cost about £3.50 per annum while com names are for business users and cost about £10 p.a. You may have a web host already but if not try 1&1 by clicking the image below and select domain names from their menu and check if your required domain is available. Before designing your web site, you will need to understand web terminology as demonstrated on Ken Carney's excellent free Home and Learn site. Web pages are coded using HyperText Markup Language (HTML) and Cascading Style Sheets (CSS) and will require an investment in your time. Alternatively, web design software such as Xara Web Designer avoid the need for coding and use a simpler drag and drop style similar to desk top publishing software. Having published your site from the web design software, it needs to be transferred for storage on your web host using a file transfer program (FTP). Some design software include FTP software but standalone programs such as the excellent open source FileZilla also exist. You will need information such as the host web address, username and password, which will be supplied by your web host, in order to connect to the web host using FTP. The web host acts as a server i.e. it "serves" your web pages to the web browser. Servers predominantly use the Linux or Windows operating systems and the former is the cheaper to use. The operating system will be transparent to most users but is relevant if using program languages such as PHP and databases such as MySQL, when Linux will normally be used. An important first consideration is if your web site will be designed using a fixed, responsive or adaptive layout. Fixed layouts are easier to design as the designer decides the page width and content is positioned in fixed or absolute positions. Currently, this approach is adopted by Serif WebPlus. Most responsive websites rearrange the text and graphics to fit the screen size with often unattractive results. What looks good full screen on your computer might not look so great on a tablet or smart phone when the text and graphics are reshuffled. Some web design software such as Xara Web Designer lets you design Variants of your website for specific display sizes, from full desktop browsers to mobile devices. These variants, which are actually different layouts of the same site are linked, so if you change the text or photos on the main site, the text and/or photos on the variant or variants changes as well. Your browser should automatically load the relevant variant. Both adaptive and responsive layouts have their pros and cons. The biggest drawback to adaptive is maintenance. With responsive you are changing just one site, but with adaptive it is spread over a minimum of two sites, so the challenge is to make it easier to make changes. A number of recommended companies such as CoffeeCup and PineGrow have created code which allows text and images to act in a responsive manner within the fixed width of the site.